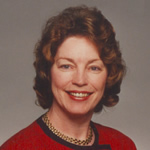 Janet Leach Richards is the Cecil C. Humphreys Professor of Law at the Cecil C. Humphreys School of Law, where she joined the faculty in 1978. She teaches Family Law, Family Law Seminar, Juvenile Law and Sales. She obtained her B.S. and J.D. from the University of Memphis and her LL.M. from Yale. She is a member of the American Law Institute, chair elect of the AALS Family and Juvenile Law Section, a master emeritus in the Leo Bearman Sr., Inn of Court and a member of the TBA Family Law Code Commission. She is a past president of the Tennessee Supreme Court Historical Society, a Tennessee Bar Foundation Fellow, and a recipient of the Sam Myar Award. She is the author of Richards on Tennessee Family Law, Tort Defenses And Immunities, The Law In Tennessee, and a number of law review articles, dealing primarily with child custody issues. She is a co-author of Marital Property Division: A Fifty State Survey and the Tennessee Benchbook on Alimony.